India has only three percent of the world’s potable water, and the requirement for drinking water according to the Union Ministry of Water Resources is nearly 1100 billion cubic metres per year, which is estimated to be around 1200 billion cubic metres for the year 2025 and 1447 billion cubic metres for the year 2050. 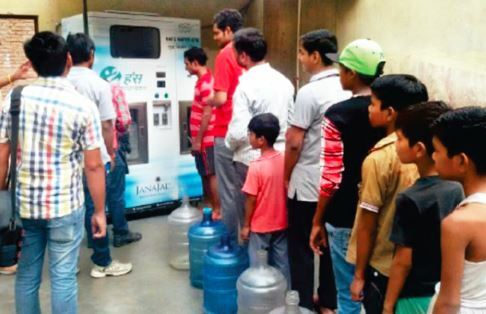 Looking at the alarming need for water, JanaJal has started water ATMs across many parts of India, offering some relief to water scarcity in semi-rural areas. It is a small but significant step towards bringing safe drinking water to citizens – a step that could be turned into a movement to make India water sufficient through joint efforts of citizens, NGOs and Corporate houses. 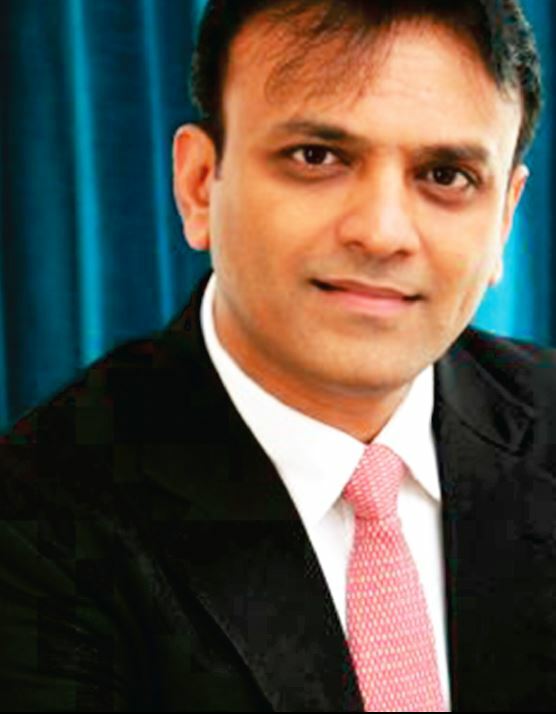 Parag Agarwal, CMD and Founder of JanaJal, throws a light on how the Company is now serving 85 million people across rural and urban India. 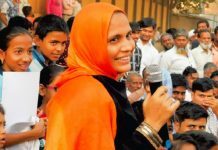 Since its inception in 2013, how many water ATMs has JanaJal established, and how many people have been positively impacted by this movement? Since our establishment in 2013, nearly 550 systems have been installed in a combination of safe water points and water ATMs. During the first two years, safe water points were being created under CSR support from various corporate houses and MNCs. Since 2015, we have only been installing water ATMs given the need for overall sustainability not only in terms of environment but also at the operating level including administering timely maintenance routines. 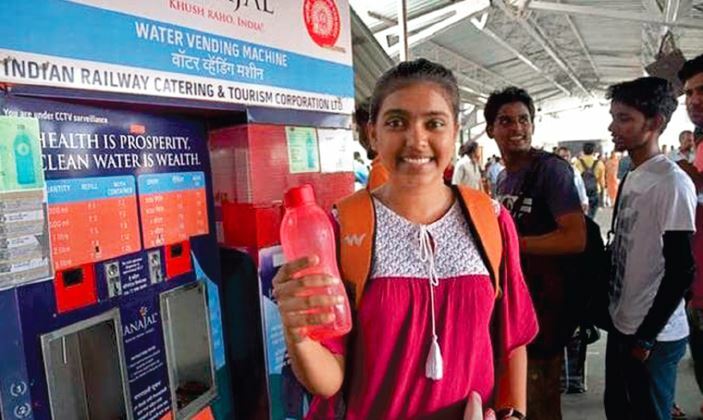 Momentum gained post 2015, when we installed nearly 300 water ATMs, which include 101 at railway stations in Mumbai and Maharashtra region, 100 police stations in Mumbai and several in Gujarat, Delhi and Ghaziabad. In the last six years, we have served nearly 85 million people across rural and urban areas in India. This number is expected to increase exponentially going forward with the cluster effect and use of digital mode of payments and prepaid cards across all water ATMs. Is there any payment required to access water from these ATMs? Can people in rural areas afford it? How much does a family of four need for cooking and drinking? The essence of a water ATM is to make safe water available and accessible at an affordable price to the consumer so that they are able to procure the same in a consistent manner thereby uplifting their quality of life. Chilled safe water is made available in urban areas in various SKUs (Stock Keeping Units) such as 300 ml, 500 ml, one litre, two litres and five litres at a price of Rs.5 per litre. In rural areas, where mainly household level consumption is expected, the price of safe water at room temperature is reduced to as low as Re.1 per litre. The fact that IRCTC approved a uniform price of Rs.5 per litre across all railway stations in India after conducting all consumer affordability studies, has been a landmark decision in favour of this sector. The regular feedback we receive confirms that people believe JanaJal water ATMs dispensing water at Rs.5 per litre is cheaper than free. People across every strata of society, including those that belong to the economically weaker sections, find this pricing extremely affordable and are now able to receive safe drinking water regularly. At the household level, it is understood that a family of four persons needs 20 litres per day to meet their drinking and cooking needs. This is now easily available to them for as little as Rs.600 per month. Households now understand the power of safe water and its benefits such as savings on medical expenses, better health and wellness, higher economic productivity and above all, increased education for children due to higher attendance in school. It is globally acknowledged that increased availability and access to safe water can contribute the highest to the GDP of any nation. Rural India and remote rural areas are the most affected lot with little or almost no access to safe drinking water. How do you propose to cover them even if it is in Northern and Western India? The three most critical aspects about impact through safe drinking water are its availability, accessibility and affordability. 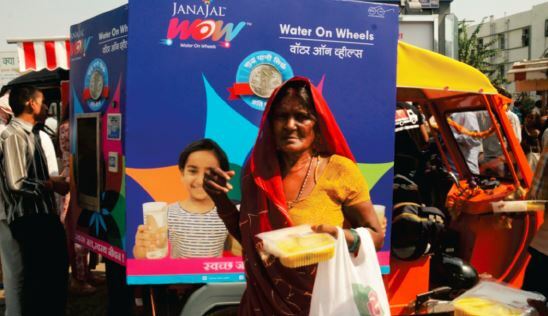 While water ATMs are considered as the last mile connectivity, we have developed the WOW – Water on Wheels, a custom built electric vehicle that delivers safewater to peoples’ doorstep, thereby acting as an instrumental tool in providing last metre connectivity. We have invested a significant amount of time and money over the past two years to develop WOW which will be launched shortly. This will ensure increased reach within communities in both urban as well as rural parts of the country. What is the average quantity collected by an individual per day, and how frequently do these ATMs dispense water? How do you keep them in working condition so service is not hampered? Every JanaJal water ATM can deliver safe water in different quantities such as 300 ml, 500 ml, one litre, five litres and 20 litres. Therefore, the consumer can choose to collect water in their preferred quantity at any time. It is seen that at places of transit such as railway stations, busy municipal areas, bus stands, etc. people prefer to collect chilled water in quantities of 500 ml and one litre. However, at locations surrounded by residential communities and urban slums, water is taken in quantities of five litres and ten litres as it is easier to carry in terms of weight. Every water ATM has an operator that is present at the kiosk for 8-12 hours every day. The operator assist people in collecting water, educate them about the benefits, oversee and manage the upkeep of the system to ensure that any spillage or leakage is attended to immediately. Water ATMs are functional 24X7, but it is seen that off-take is very low or absent when it is functioning in auto mode. Being an emerging concept, people are gradually getting accustomed to receiving water from a Water ATMs when it is unattended. This practice is expected to develop further over the next couple of years. Do you see a change on people’s attitude and preference for safe water and a shift from bottled water to Water ATMs? There is a global movement against single-use plastic and the presence of microplastics in the human body due to consumption of food and water from packaged materials. 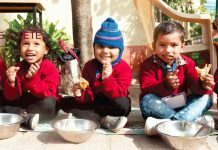 Over the past four years, initiatives such as Swachh Bharat, and international bodies such as UN Water, WHO (World Health Organisation), besides several Foundations, have created tremendous awareness about the benefits and significance of safe water. Citizens are far more aware about adopting WASH (Water, Sanitation & Hygiene) practices for better health and wellness. 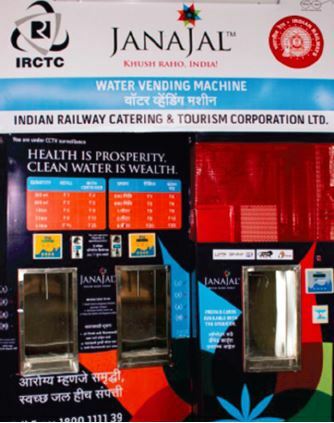 Thus, the preference towards receiving drinking water from water ATMs versus packaged water is rapidly growing. Water is a precious commodity, especially for our country where water bodies are contaminated. In such a situation, how much is it possible to have affordable drinking water? By when do you think India will have sufficient safe drinking water and clean water for use? 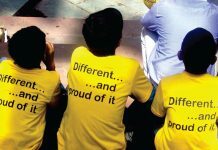 JanaJal has worked relentlessly over the past five years to create awareness about unpackaged branded water sector in India. With census and demand being highly dynamic, it is very difficult to indicate when the country will be self-sufficient as far as its safe water needs are concerned. 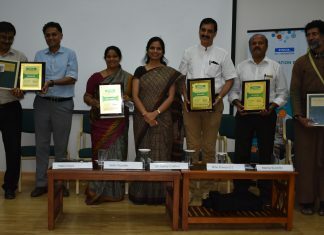 However, the Swachh Bharat initiative is a giant stride forward in that direction, and the water ATMs is the only way in which government agencies at all levels can mitigate the threat of corroded pipelines, rapid urban development and limited capacity of existing infrastructure of water treatment plants that are built and operated by various municipal corporations. High amount of emphasis has to be centred around building community water treatment plants and restricting the use of individual domestic RO systems as they cause tremendous losses on account of quality and quantity of water. However, our management team believe that with the advent of water ATMs supported by mobile water ATMs, India bears the potential to create the world’s largest water sharing network by 2030.